Large studio cabin only 100m from the gondola and chairlift, 400m from the balneotherapy & spa area (inaugurated mid-December 2018), and 500m from the village. - A cabin with two bunk beds in 80 with storage. - A bathroom (bath, washbasin, large closet and toilet). Pets and smokers not accepted. Weekly rental only from Saturday to Saturday. Studio bien exposé avec vue sur le lac. Proximité des remontés mécaniques. La machine à laver et l'étendoir sur la baignoire son appréciables. Point à améliorer : prévoir une rallonge pour pouvoir poser l'appareil à raclette sur la table car son fil est trop court. 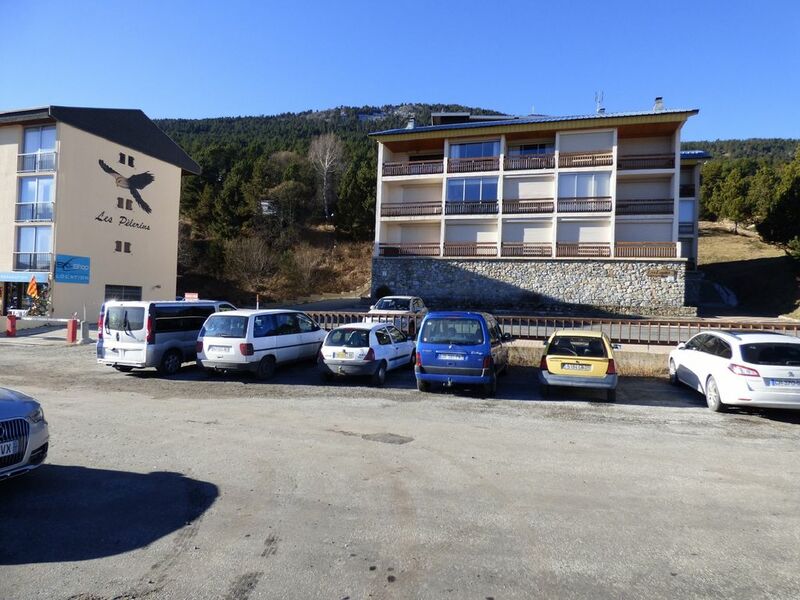 Very cosy apartment, comfortable near to ski lifts. Very practical with kids as very close to ski rental stores, lifts and cable car. The apartment was very cozy and with wonderful views over see and mountains. I thank you for your very kind appreciation and hope to welcome you very soon. Je vous remercie pour votre très aimable appréciation et espère pouvoir vous accueillir très prochainement. Il est fonctionnel et la vue sur les montagnes, le lac et le village à couper le souffle. Appartement très bien situé vue sur le lac matemale et proche du centre ville , idéal pour deux personnes. Una semana fántastica, en una ubicación perfecta y un apartamento muy acogedor. Las vacaciones han sido perfectas. Los propietarios super atentos y agradables. El apartamento limpio y sobre todo con una ubicación perfecta para los que quieran esquiar. Muy bien equipado y confortable. In the heart of the plateau Capcir, an ideal site for walking, water sports, or just relaxing .. The slopes are varied both in terms of difficulty and in terms of the panorama (6 DH tracks and 2 enduro trails) with 500 meters of vertical drop, 50 km of tracks all levels ... Access is via the Les Pelerins gondola. Located in the forest of Matte at the foot of the resort of Angles, the forest route includes more than 140 workshops divided into 14 courses for all ages, from 2 years. The weather conditions sometimes allow in winter the practice of paragliding. For all ages, accompanied by a state-certified instructor, you will discover the pleasure of paragliding during an aerial ride. Quillane Aerodrome - The highest platform in Europe at 1714m above sea level. X-Trem Laser Game 66 awaits you for wild battles where ruse and speed will be your allies. And inflatable modules will serve you as extraordinary hiding places! Located at the foot of the Pla del Mir slopes, this park occupies a 37-hectare section of pine forest at 1800m altitude on 2 circuits of 3500 meters and 1500 meters. Wild animals of the Pyrenees (bears, lynx, deer, deer, wild boar, moufflon, ibex, isard, wolf, deer, groundhog, reindeer, bison, ...). live in semi-liberty in a natural space. SItués at the edge of the Gorges du Sègre, near a sulphurous natural spring they offer thermal waters naturally rich in sulfur and minerals, with recognized properties for relaxation, for rheumatic or muscular pains as well as for skincare and skin care. hair. A way to go with the family to discover the History of the snow and to admire the beautiful Balcere Lake. The snowshoe is the pleasure of walks with family or friends, in large expanses of virgin snow or in the most beautiful mountain forests. A walk in the heart of the forest with a Mucher and his dogs as in the great north of Canada. An Olympic winter for all! "Fresh" sensations guaranteed! Come discover the diving under the mountain lakes. You will evolve under a layer of ice between 50 cm and 2 m with a fully waterproof equipment. Les Angles ski resort is equipped with an artificial sledge area on the lower station.